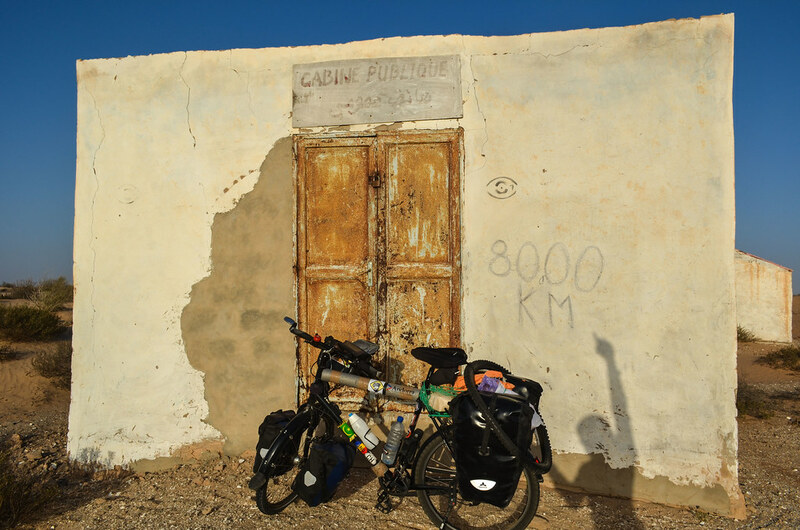 Not too long after the previous kilomilestone, I reached yesterday the 8000 km mark between Nouakchott and Tiguent, on my way to the border with Senegal. The Sahara is ending and I see maybe my last camels of the trip. I will miss them since they seem to be replaced by much less peaceful mosquitoes.